All right, enough with the heavy stuff. Let’s have some fun! Registration opened for Star Wars Celebration Chicago 2019 on Tuesday, tickets and hotel blocks both. The organizers at ReedPOP also updated the Celebration website with a bunch of new details about the stages at the event, as well as some of the elements for which they’ll be entertaining submissions from the fan public. I’m sharing all the details here in our first SW7x7 SWCC 2019 Update. Punch it! 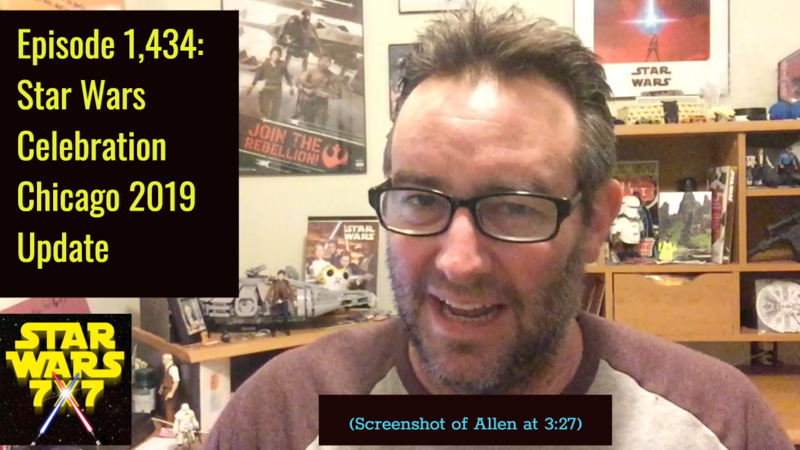 Previous Post: Episode 1,433: Is a Small Group of People Really Affecting the Solo Box Office?